I like the new version, and just days ago an update was uploaded. I didn’t experience any of the issues that was fixed in version 16.01.1. If you’re still on the 2017 edition, please try the 2019 version, as it is really good. It takes a little getting used too, but we’re talking days only. I signed up for the Microsoft Edge Insider programme, where Microsoft has based the Edge browser on the Chromium open source project. I’m now on the Dev Channel, and I really like what I see and fell. Check it out, https://www.microsoftedgeinsider.com/en-us/. 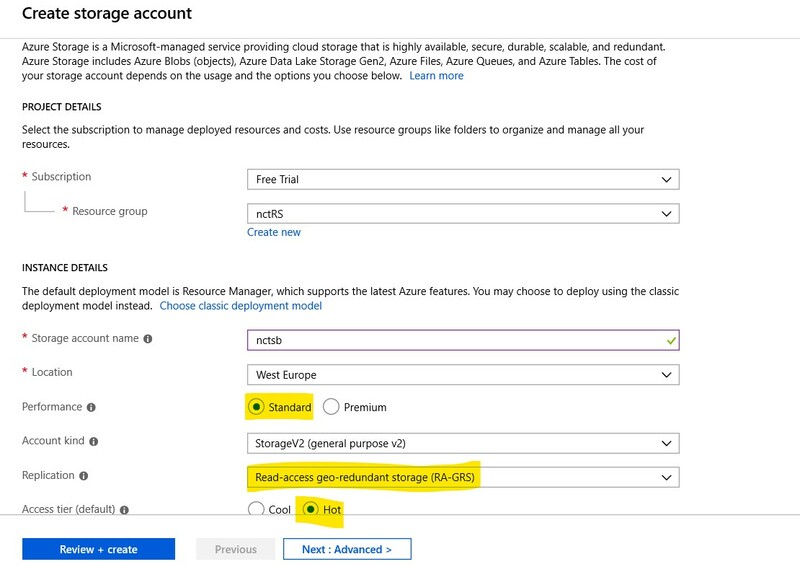 Azure Table Storage is cheap and in some simple uses, as good as CosmosDB. However, when searching a single table storage (Standard Performance) with millions of rows, then the key to speeding up searching for specific entities or traversal through all entities, requires you to use both the partition key and row key values, but none of the other field values. Obviously, if you have multiple different values in either or both of the partition key and row key fields, you’ll have a problem with the speed of a search. In that case, CosmosDB will be a better option. The code below shows how to search the a storage table using the partition key and row key fields. A look up table is used for the partition key and the date is used for the row key. Obviously, the storage table, which holds the different partition keys, needs to be maintained. The “duplicated” date in the row key mimics the timestamp field, but you can use pretty much any date type and format instead, as long as you a have simple way of searching this field. I have an Azure function that takes care of updating the partition keys table, using a timer trigger on a monthly basis. // Is the full partition key text stored in the RowKey? I’ve been part of the Windows Insider programme for quite a while now (January 14, 2015), and I have generally been very pleased with my participation. Today I installed the Windows 10 Insider Preview 18272.1000 (rs_prerelease), from my favourite Prét coffee joint in Watford. It took a while to download, but the actual installation was very quick, and it seems MS has been working on speeding up new OS upgrades over at least the last year. I’ve been using my trusted Lenovo Flex-2 15 for most of the builds. It is nearly 5 years old, and rarely had any issues with drivers etc, so I’m well pleased with the Windows OS, in particularly the Windows Insider builds. I’m now on the Active development of Windows preview build, on the Fast ring. I am running my development tools, Visual Studio 2017, Visual Studio Code etc, on these builds and rarely have any issues. Keep it up MS!